MAKESHOP » Community Highlight: Free Event! 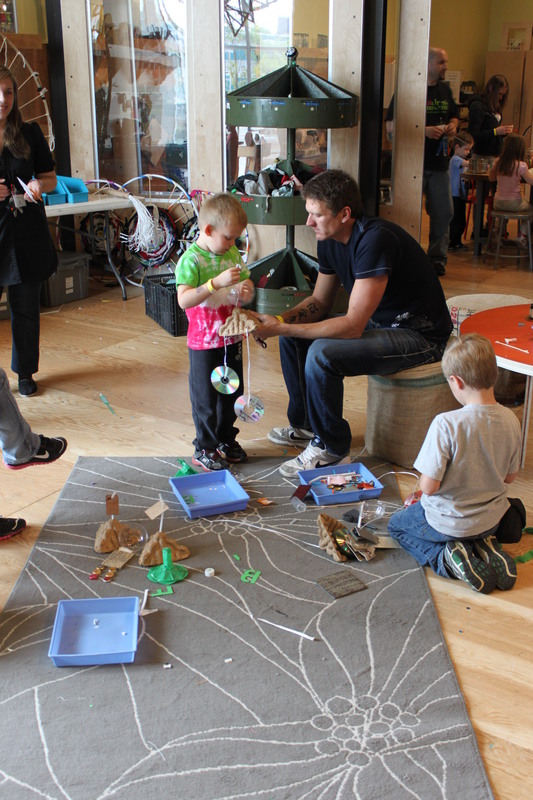 PCCR’s Reuse-a-Palooza is a hands-on creative activity for participants of all ages, perfect for any public event. Come (re)create with us! The Pittsburgh Center for Creative Reuse’s Reuse-a-Palooza is a fun, educational, and inspiring event for all ages, perfect for large public events such as fairs, festivals and community days. This hands-on program provides a variety of reclaimed materials and all the tools necessary to create art and craft works out of items formerly considered trash. This activity can accommodate dozens of participants at a time, and thousands of people over the course of an event, all of whom walk away with their own work of art and a great experience in upcycling.